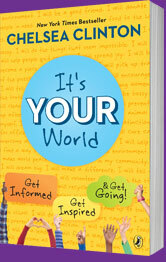 When she was a child in Little Rock, Arkansas, one of her favorite books was 50 Simple Things Kids Can Do to Save the Earth, and as a teenager in Washington, D.C., she led her school’s service club. While at Stanford, Chelsea worked as a reading and writing tutor and volunteered at the Children’s Hospital. 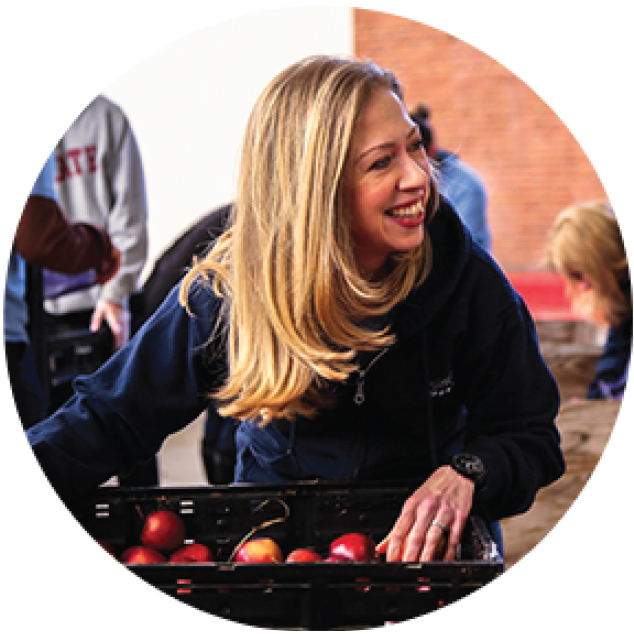 Today, she is Vice Chair of the Bill, Hillary and Chelsea Clinton Foundation, where she helps lead the work of the Foundation, across its various initiatives, with a particular focus on work related to health, women and girls, creating service opportunities, and empowering the next generation of leaders. Chelsea holds a BA from Stanford University, an MPH from Columbia University, and an MPhil and doctorate degree in international relations from Oxford University. She lives in New York City with her husband Marc, their daughter Charlotte, their son Aidan, and their dog Soren.